“By going to study their habits, their customs, their way of life, their traditions, and their history… I feel as though I might have contributed in some small way to bringing the world’s people closer together.” –Robert de Wavrin. The man squats by the fire, holding an object slightly larger than his palm. He feels it carefully, pressing and shaping it, then turns it upside down and fills it with hot sand. The man is a member of the Shuar people, and he is practicing the art of tzantza, or head-shrinking—a ritual designed to ensnare the soul of a defeated enemy. Behind the camera, filming the scene, is Robert de Wavrin, a Belgian marquis who spent decades traveling among indigenous people in South America. From Paraguay, to Venezuela, Ecuador, and Brazil, Wavrin visited areas few, if any, Europeans had ever seen, earning the trust of local indigenous groups, making friends, and filming customs, rituals, and everyday life. The four films he produced (along with shorter works) shaped the nascent art of visual anthropology and are marked by Wavrin’s insistence on seeing indigenous people as fellow human beings—not others, savages, inferior beings, or exotics trotted out for our entertainment. Wavrin didn’t set out to become an explorer and ethnographer. At first, he was just fleeing the country to avoid a prison term for shooting two boys stealing hazelnuts from trees on his estate (they survived). In 1913, he boarded a ship headed to South America. It was a fateful decision. Over the next 25 years, Wavrin would return to the continent repeatedly, driven by a thirst to learn about its native people and to record them with his film camera. While THE MARQUIS OF WAVRIN: FROM THE MANOR TO THE JUNGLE tells the story of the Marquis’ life and journeys, it is also a story about the detective work that goes into finding and restoring old photos and footage. Co-director Grace Winter is a researcher at the Royal Film Archive of Belgium, which houses all de Wavrin’s footage—including material shot for a now-lost film. Winter painstakingly matches descriptions of the film with the Marquis’ rushes, reconstructing sequences from the film for a contemporary audience. She also finds rare scenes cut from de Wavrin’s final film by censors who found them too shocking. De Wavrin was not a man completely freed from the strictures of his time. It’s hard not to cringe when he says some native people see him as a god, for instance. But, unlike others making films in remote regions of South America, de Wavrin was not motivated by profit or trying to make propaganda. His genuine interest in those he films comes through in sequence after sequence: girls smiling for the camera and showing off their jewelry; children playing with small bows and arrows; people cooking, preparing coca leaves—and yes, shrinking heads. And while posters publicizing his films do trade in the racist tropes of the day, his work itself is remarkable. 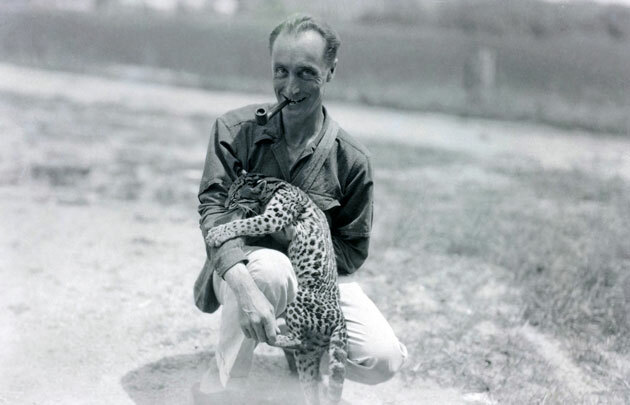 THE MARQUIS OF WAVRIN: FROM THE MANOR TO THE JUNGLE is a multi-faceted film: a mystery involving lost film footage, a fascinating biography, and a collection of privileged images of the daily lives of indigenous people in remote areas rarely visited by outsiders.